RUSH: To me, it’s also a blockbuster. It’s by Andy McCarthy. Remember, we had the news yesterday that Susan Rice — or a couple of days ago now that Susan Rice — had written a memo to herself on the day Trump got inaugurated recounting a meeting that Obama and his law enforcement and legal advisers had, and the purpose of her email was to memorialize this meeting. What in truth was happening is Trump was the target all along! Trump was the suspect all along, and that’s why Comey would not publicly exonerate Trump, because he couldn’t. And that the meeting that was held between Obama and his hirelings on January 5th was to plot a way to continue the investigation of Trump after Obama had left office! 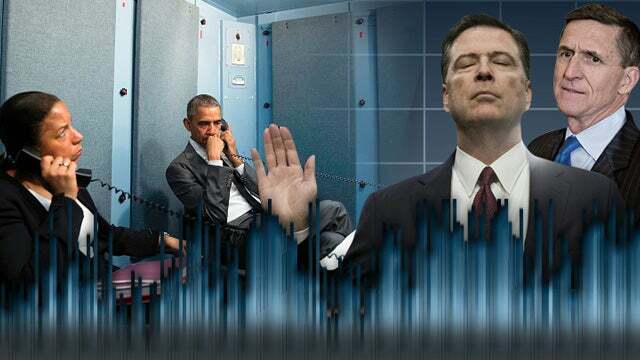 They conspired to come up with a way to continue the investigation while Obama was gone, after he was gone, and it centered on making Trump believe he wasn’t the target. In other words, if James Comey had gone to Trump and said, “Mr. Trump, we have learned the dossier was written by Christopher Steele, who had been paid by Hillary Clinton. We can’t verify any of it. What we have learned is that it is actually a political opposition research document determined to destroy you,” that Trump would have blown a gasket and fired everybody and told the American public what was going on. But that’s not what Comey told Trump. What Comey told Trump was, “You’re not a target.” He showed him only one part of the dossier, the golden showers part. He didn’t show him the whole thing. He alluded to it but didn’t show him all. He showed him the golden showers and said, “We haven’t verified this. It’s an example how bad it is out there. 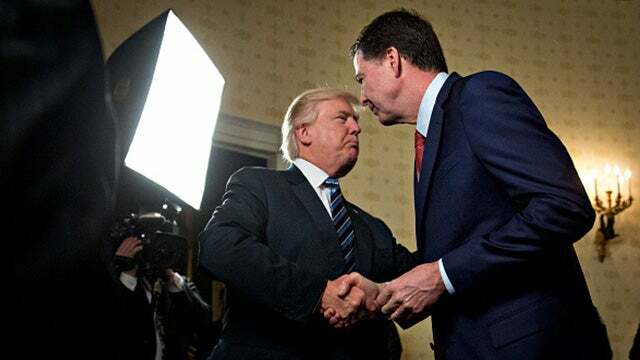 You’re not a suspect.” But Comey was stretching the truth because the only extent to which Trump was not a suspect is Trump’s name was not on the FISA warrant. But that wasn’t only to the extent that his name wasn’t on the FISA warrant. The fact of the matter is this whole thing has always been about no one else but Trump. It’s never really been about Carter Page. It’s never been about Manafort. All of this, from the get-go, was about nailing Trump! And it still is! And they needed a way to make sure Trump would not shut the investigation down. And the way they did that was to tell him he wasn’t the target. And so when Trump realizes he’s not the target, well, then okay, go do your job. You know, be easy on Flynn. That’s the Andy McCarthy piece today. And both of these pieces are dynamite blockbuster. And you’ll forgive me for mentioning, but news happens fresh every day and I don’t want this to get swept under the rug, and I don’t want it to become old before I pass it on to you, because this issue of getting rid of Trump — even the Florida shooting is about that, the aftermath of the Florida shooting. You can see news stories where the people in Florida don’t want Trump to say anything. They don’t care about Trump’s compassion. The Drive-Bys are trying to blame Trump for this in any number of ways. So the focus of the American left, the Democrat Party, regardless the issue, remains getting Donald Trump, paralyzing his presidency, winning the 2018 midterms, and impeaching him. That remains the day-to-day objective. That’s why they’re frustrated that the Rob Porter story has been taken off the front page by the Florida shooting.